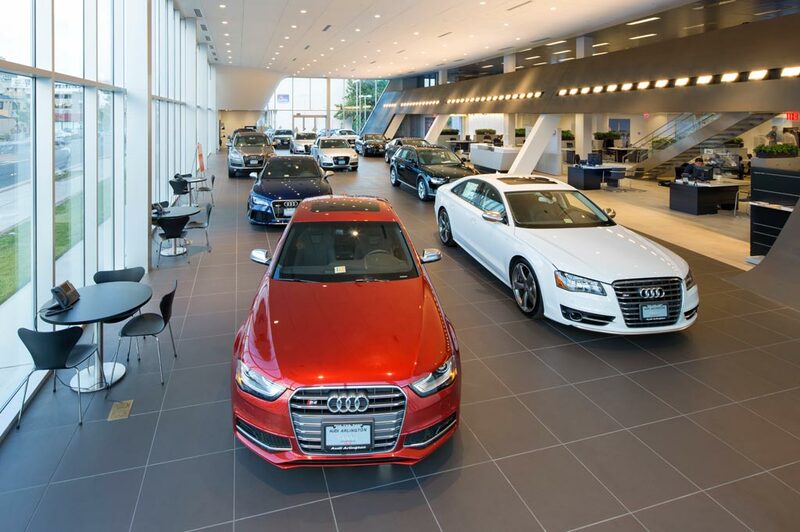 Audi of Wallingford in Wallingford, CT treats the needs of each individual customer with paramount concern. We know that you have high expectations, and as a car dealer we enjoy the challenge of meeting and exceeding those standards each and every time. Allow us to demonstrate our commitment to excellence! Our experienced sales staff is eager to share its knowledge and enthusiasm with you. We encourage you to browse our online inventory, schedule a test drive and investigate financing options. You can also request more information about a vehicle using our online form or by calling (203)294-9000. Satisfy Your Audi Urges by Visiting Audi of Wallingford, Proudly Serving Drivers from Wallingford, New Haven, Hartford, and Middletown, CT. Looking for a new or used Audi? Our professional yet friendly auto enthusiasts can assist you in finding the exact car you've been searching for. Or maybe you are looking for trustworthy car service or a quality parts department in the Wallingford, New Haven, Hartford, and Middletown area? No matter what kind of service you are looking for, you can find it at Audi of Wallingford! Out of all the qualities that our drivers notice about our our new 2018-2019 Audi lineup, they really love its diversity. That being said, there are the common favorites, like the Audi A3, A4, Q3, Q5, Q7, and S5. If you already have a favorite or if you haven't found your favorite yet, simply stop by Audi of Wallingford to find yours. We don't only sell new cars at Audi of Wallingford, we proudly offer a full inventory of used cars and certified Audi models as well. Everyone is handpicked and inspected to ensure optimum satisfaction among our buyers. We know you will be highly impressed by not only the quality of our used cars but also the diversity of models we offer. Check it our on our used car inventory page or stop into our dealership anytime. Looking for a Great Deal on Car Financing, Auto Repair or Parts? At Audi of Wallingford, our auto finance department is great at finding a variety of financing options for you to choose from with the lowest rates and best terms in the Wallingford area. They also always take the time explain all the terms and conditions clearly so you can enjoy your recent purchase on the open road without having to fret over the finance option you choose. Don't forget about us at Audi of Wallingford once you drive off. Our Audi auto parts and car service experts are always here for you! Whether you enjoy the challenge of performing your car's work yourself or you'd rather drop your car off at our Wallingford service department for the work to be completed for you, we're here to lend a hand. Finding, purchasing and up-keeping your new or used Audi is enjoyable at Audi of Wallingford. Enjoy your time on our site and let us know when you have any questions or would like to take a test drive. We look forward to seeing you here at 800 S. Colony Road Wallingford, Connecticut in the near future!